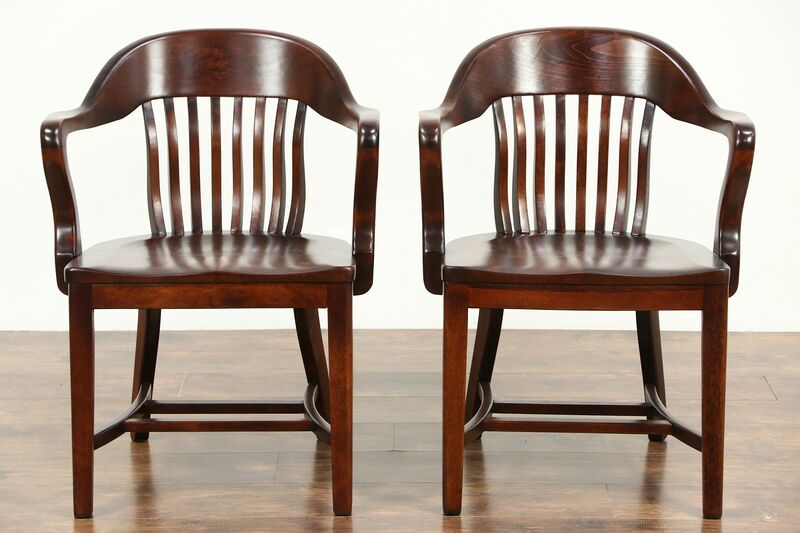 A pair of solid birch hardwood armchairs was made for a Milwaukee bank about 1910. Size is 25" wide, 21" deep, 34" tall and seats are 18" high. Please view 15 photos at full screen size for best detail. Additional chairs priced separately, contact us for availability.